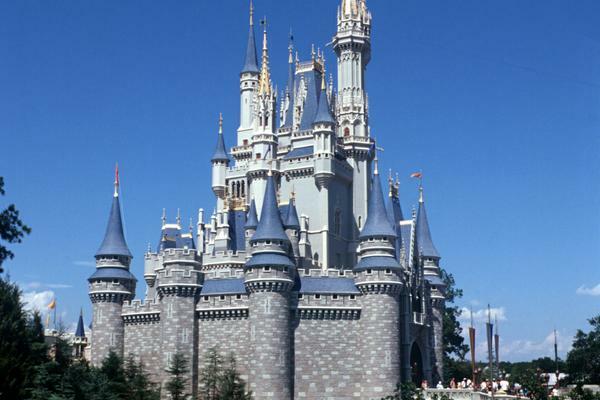 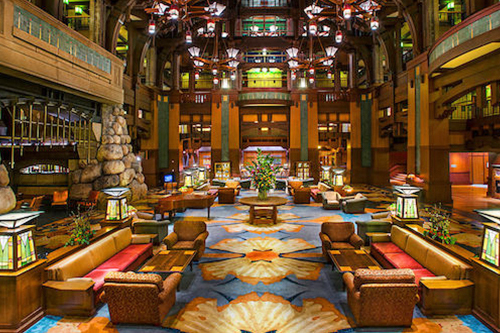 It was inspired by the Ahwahnee Hotel in Yosemite National Park and The Old Faithful Inn in Yellowstone National Park"
Use the dedicated hotel entrance to Disney California Adventure® Park to get over to Radiator Springs Racers—the most popular ride in the park! 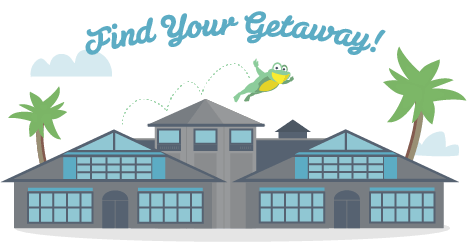 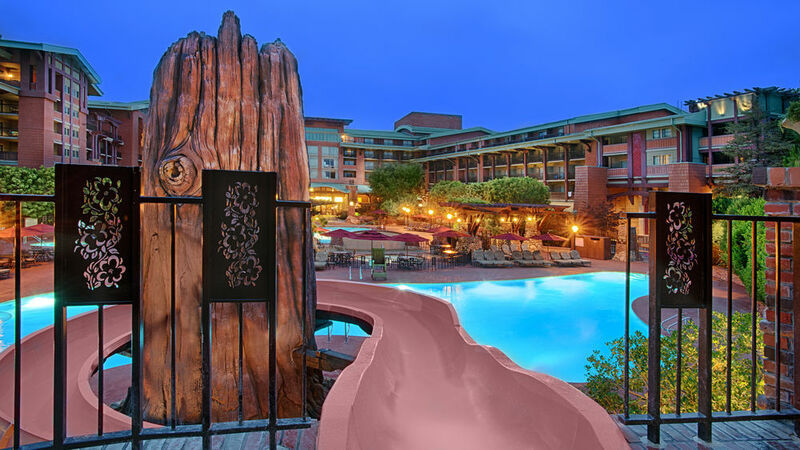 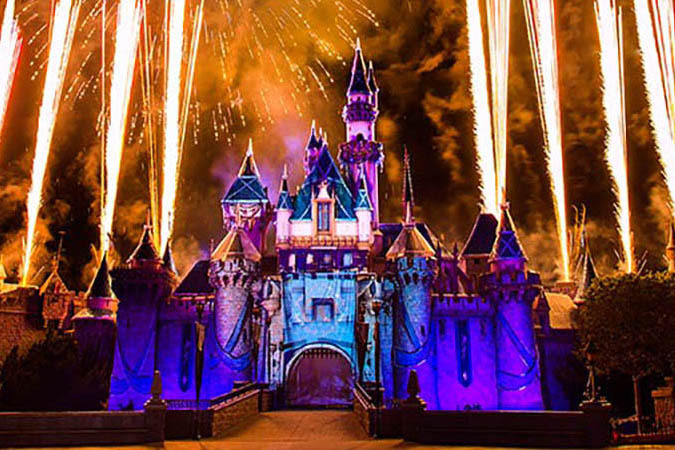 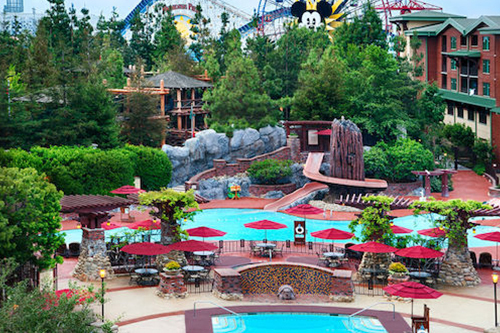 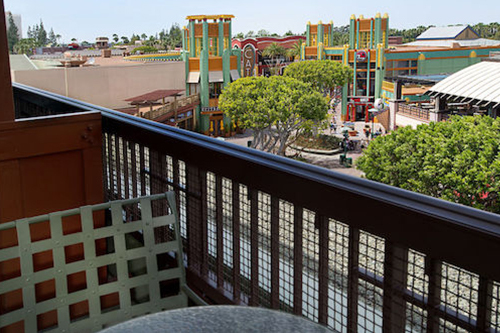 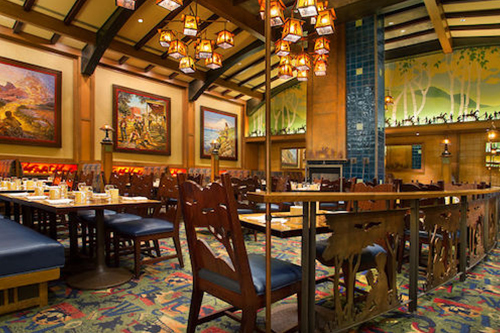 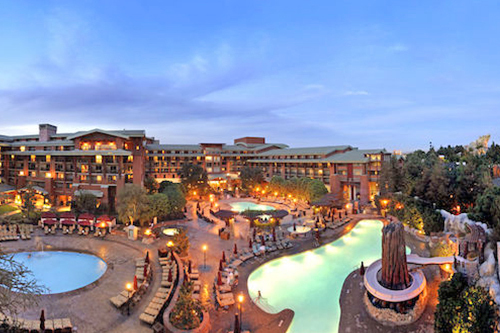 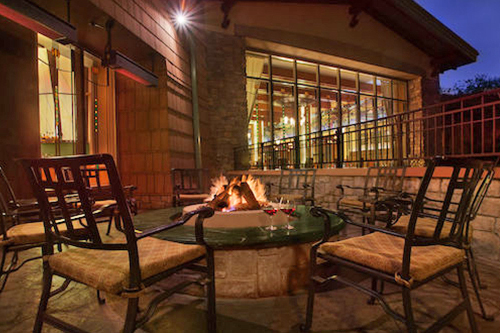 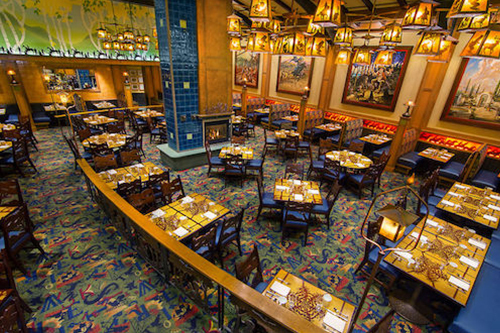 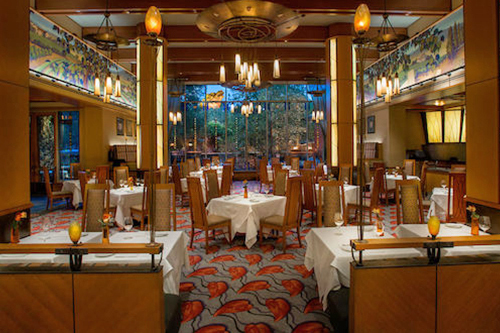 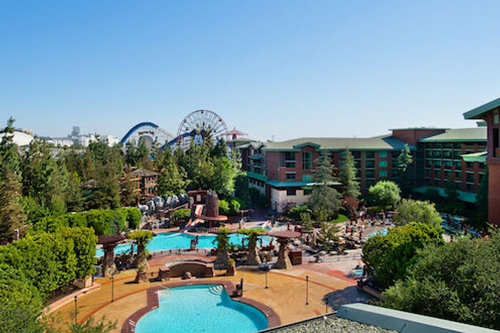 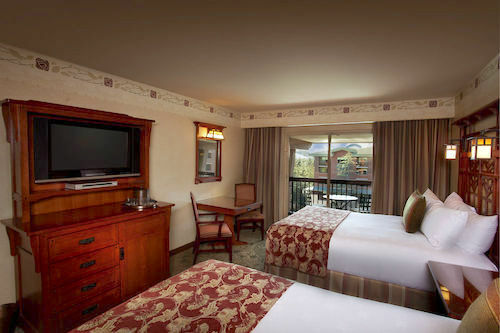 With direct access to Disney California Adventure® Park, Disney's Grand Californian Hotel is the ideal place for those looking for the perfect Disney family vacation! 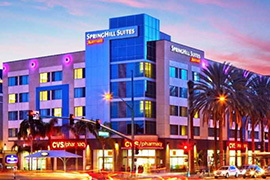 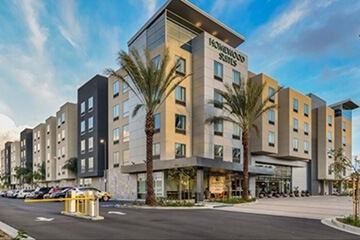 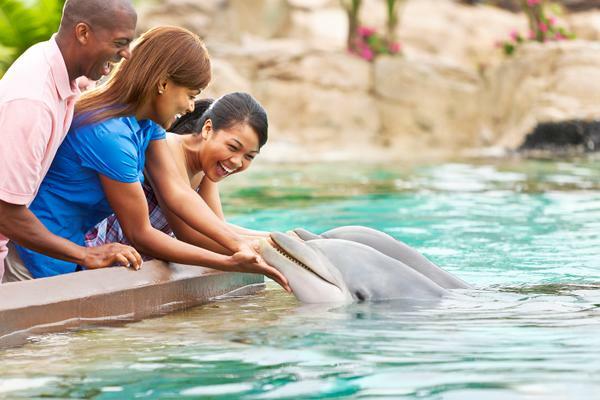 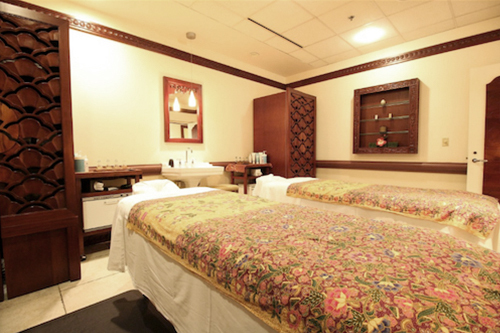 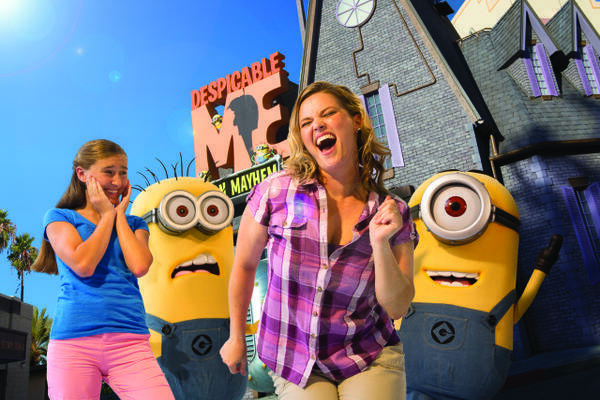 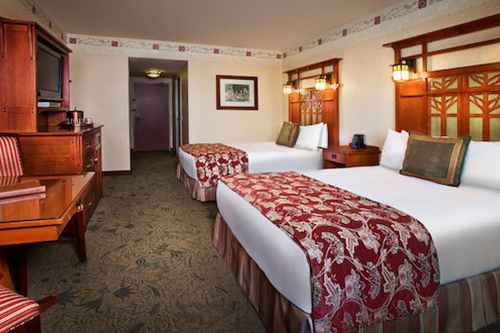 The upscale hotel offers 3 pools, waterslide, kids' activities and even more family-friendly recreational activities. 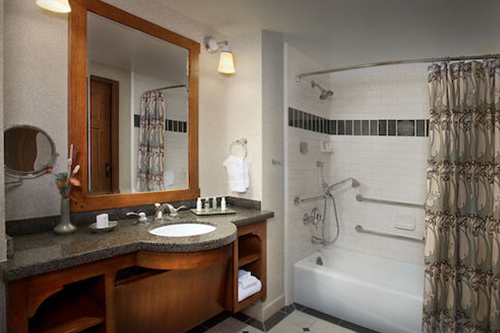 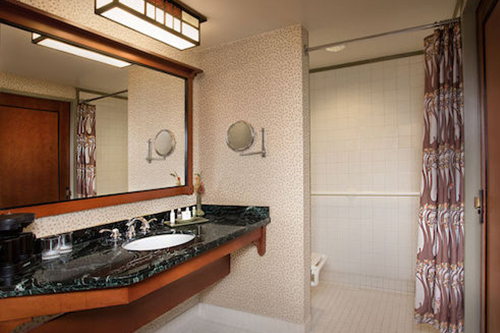 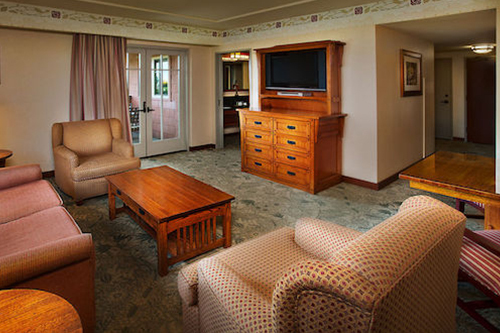 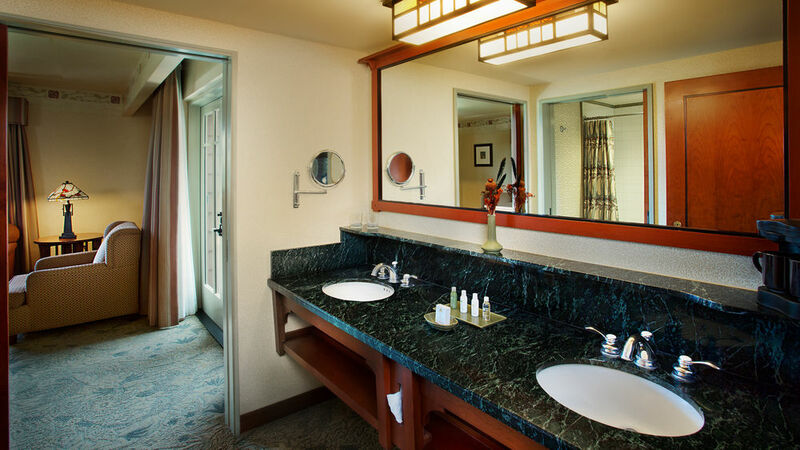 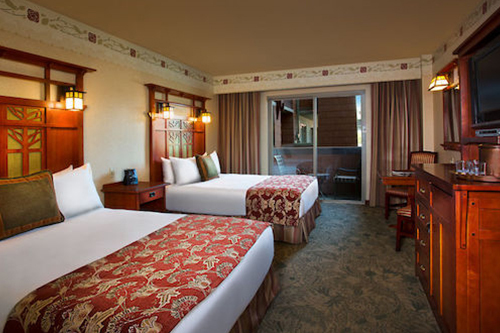 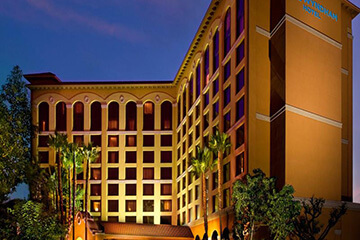 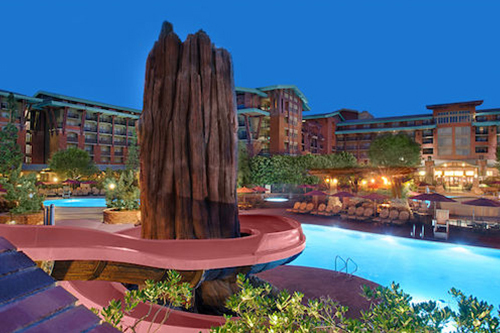 The luxurious and laid-back rooms provide comfort and convenience after a busy day at Disneyland® Resort.